Security Memetics: What's The Secret Password? 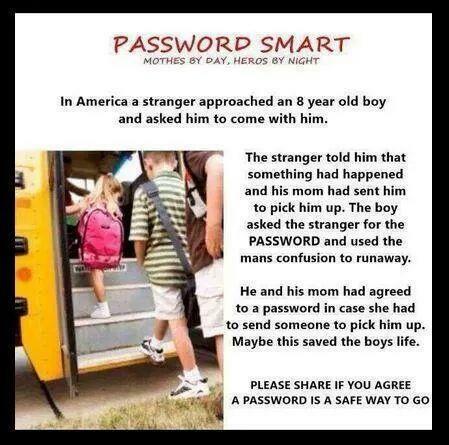 Thanks to @TheKnowledge for tweeting this security tale. I imagine that tokens, biometrics (where the kid actually knows the person sent to collect them), or even two factor authentication could work, but those all have additional hurdles that make them harder to implement than a simple password system. Great idea. More people should be that smart.